1.  As Health and Care Profession Council Registered dietitians we are custodians of personal information relating to your medical treatment, we must only use that information in accordance with all applicable law and guidance. This Privacy Notice provides you with a detailed overview of how we will manage your data from the point at which it is gathered and onwards, and how that complies with the law. We will use your personal information for a variety of purposes including, but not limited to, providing you with care and treatment, sharing it with other medical professionals, your billing and medical insurance provider and research/clinical audit programmes. 2. In addition, you have a number of rights as a data subject. You can, for instance, seek access to your medical information, object to us using your information in particular ways, request rectification of any information which is inaccurate or deletion of information which is no longer required (subject to certain exceptions). This Privacy Notice also sets out your rights in respect of your personal information, and how to exercise them as part of the new GDPR regulations which come into effect on 25th May 2018. 1. This Privacy Notice sets out details of the information that we, as dietitians, responsible for your treatment may collect from you and how that information may be used. Please take your time to read this Privacy Notice carefully. 2. In this Privacy Notice “we”, “us” or "our” to refer to us as the dietitians who are using your personal information and “you” refers to the patient which includes adults with parental responsibility where the person receiving treatment is a child. 4. We are Data Controllers in respect of your personal information which we hold about you. This will mainly relate to your health or medical treatment but will be likely to also include other information such as financial data in relation to billing. I must comply with the data protection legislation and relevant guidance when handling your personal information. Your personal data may include any images taken in relation to your treatment which must not only be managed in accordance with the law, this Privacy Notice but also all applicable professional standards including guidance from the Health and Care Professions Council. 5. We will provide dietetic intervention in your home or at a location agreed by you and your dietitian. 6. Your personal information will be handled in accordance with the principles set out within this Privacy Notice. This means that whenever we use your personal data, we will only do so as set out in this Privacy Notice. From time to time, we may process your personal information at another location other to where your consultation took place. What personal information do we collect and use from patients / clients? 7. We will use “special categories of personal information” (previously known as "sensitive personal data") about you, such as information relating to your physical and mental health. 8. If you provide personal information to me about other individuals (including medical or financial information) you should inform the individual about the contents of this Privacy Notice. We will also process such information in accordance with this Privacy Notice. 9. In addition, you should note that in the event you amend data which we already hold about you (change of address or telephone number) then we will update our clinical record systems to reflect the amendments. Our systems will continue to store historical data. 11. As one of our patients / clients, we will hold information relating to your medical treatment which is known as a special category of personal data under the law, meaning that it must be handled even more sensitively. 12. The confidentiality of your medical information is important to us, and we make every effort to prevent unauthorised access to and use of information relating to your current or former physical and mental health (or indeed any of your personal information more generally). In doing so, we will comply with UK data protection law, including the Data Protection Act 2018 and all applicable medical confidentiality guidelines issued by professional bodies including, but not limited to, the Health and Care Professions Council. 19. We may communicate with you in a range of ways, including by telephone, SMS, email, and / or post. If we contact you using the telephone number(s) which you have provided (landline and/or mobile), and you are not available which results in the call being directed to a voicemail and/or answering service, we may leave a voice message on your voicemail and/or answering service as appropriate, and including only sufficient basic details to enable you to identify who the call is from, very limited detail as to the reason for the call and how to contact us. 20. However: a) to ensure that we provide you with timely updates and reminders in relation to your healthcare (including basic administration information and appointment information (including reminders)), we may communicate with you by SMS and/or unencrypted email (where you have provided me with your SMS or email address). b) to provide you with your medical information and/or invoicing information, we may communicate with you by email (which will be encrypted unless you have requested that we send it unencrypted and accept the potential risks associated with this) where you have provided me with your email address. The first time I send you any important encrypted email, I will endeavour to contact you separately to ensure that you are able to access the encrypted email you are sent. 22. We may 'process' your information for a number of different purposes, which is essentially the language used by the law to mean using your data. Each time we use your data, we must have a legal justification to do so. The particular justification will depend on the purpose of the proposed use of your data. When the information that we process is classed as a “special category of personal information”, we must have a specific additional legal justification in order to use it as proposed. c) We have an appropriate business need to process your personal information and such business need does not cause harm to you. We will rely on this for activities such as quality assurance, maintaining our business records, monitoring outcomes and responding to any complaints. 27. You have a range of rights in respect of your personal data, as set out in detail in sections 53-70 below. This includes the right to object to us using your personal information in a particular way (such as sharing that information with third parties), and we must stop using it in that way unless specific exceptions apply. This includes, for example, if it is necessary to defend a legal claim brought against us, or it is otherwise necessary for the purposes of your ongoing treatment . You will find details of our legal grounds for each of our processing purposes below. We have set out individually those purposes for which we will use your personal information, and under each one we set out the legal justifications, or grounds, which allow us to do so. You will note that we have set out a legal ground, as well as an 'additional' legal ground for special categories of personal information. This is because we have to demonstrate additional legal grounds where using information which relates to a person's healthcare, as we will be the majority of the times we use your personal information. 28. Clearly, the reason you come to us is to provide you with healthcare, and so we have to use your personal information for that purpose. 34. We may process your personal data for the purposes of local clinical audit – i.e. an audit carried out by ourselves or our direct team for the purposes of assessing outcomes for patients / clients and identifying improvements which could be made for the future. We are able to do so on the basis of our legitimate interest and the public interest in statistical and scientific research, and with appropriate safeguards in place. You are, however, entitled to object to our using your personal data for this purpose, and as a result of which we would need to stop doing so. If you would like to raise such an objection then please contact us using the details provided in paragraph 3 above. 35. From time to time, patients may raise queries, or even complaints, with us we take those communications very seriously. It is important that we are able to resolve such matters fully and properly and so we will need to use your personal information in order to do so. Purpose 5: Communicating with any other individual that you ask us to update about your care and updating other healthcare professionals about your care. 38. In addition, other healthcare professionals or organisations may need to know about your treatment in order for them to provide you with safe and effective care, and so we may need to share your personal information with them. Further details on the third parties who may need access to your information is set out at section 47 below. 41. As a provider of healthcare, we are subject to a wide range of legal and regulatory responsibilities which is not possible to list fully here. We may be required by law or by regulators to provide personal information, and in which case we will have a legal responsibility to do so. From time to time, clinicians are unfortunately also the subject of legal actions or complaints. In order to fully investigate and respond to those actions, it is necessary to access your personal information (although only to the extent that it is necessary and relevant to the subject-matter). 45. In order to do this, we will not need to use your special categories of personal information and so we have not identified the additional ground to use your information for this purpose. n) The police, Social Care and other third parties where reasonably necessary for the prevention or detection of crime and Safeguarding. 48. I may communicate with these third parties in a variety of ways including, but not limited to, email, post, fax and telephone. 49. An automated decision is a decision made by computer without any human input , and there will be no automated decision-making in relation to your treatment or other decisions which will produce legal or similarly significant effects. 50. We will only keep your personal information for as long as reasonably necessary to fulfil the relevant purposes set out in this Privacy Notice and in order to comply with our legal and regulatory obligations. 51. This means that we retain such records for a period of at least ten (10) years from the date of treatment and, in the case of a minor, for a period of at least ten (10) years after that minor attains majority and, in the case of a patient with mental incapacity, we retain such records indefinitely. 52. If you would like further information regarding the periods for which your personal information will be stored, please contact us using the details outlined in section 3. 53. Under data protection law you have certain rights in relation to the personal information that we hold about you. These include rights to know what information we hold about you and how it is used. You may exercise these rights at any time by contacting us using the details provided at section 3 above. 54. There will not usually be a charge for handling a request to exercise your rights. 55. If we cannot comply with your request to exercise your rights we will usually tell you why. 56. There are some special rules about how these rights apply to health information as set out in legislation including the Data Protection Act (current and future), the General Data Protection Regulation as well as any secondary legislation which regulates the use of personal information. 57. If you make a large number of requests or it is clear that it is not reasonable for us to comply with a request, then we do not have to respond. Alternatively, we can charge for responding. 58. You are usually entitled to a copy of the personal information we hold about you and details about how we use it. 59. Your information will usually be provided to you in writing, unless otherwise requested. If you have made the request electronically (e.g. by email) the information will be provided to you by electronic means where possible. 60. Please note that in some cases we may not be able to fully comply with your request, for example if your request involves the personal data of another person and it would not be fair to that person to provide it to you. 62. We take reasonable steps to ensure that the information we hold about you is accurate and complete. However, if you do not believe this is the case, you can ask us to update or amend it. 63. We may update this Privacy Notice from time to time to ensure that it remains accurate, and the most up-to-date version can always be found at www.newstartnutrition.co.uk. In the event that there are any material changes to the manner in which your personal information is to be used then we will provide you with an updated copy of this Privacy Notice however if it was agreed that no further direct contact was to be made and there is no active treatment then we will not contact you as we will on be exercise our legal duty to retain your health records as explained section 51. 64. In some circumstances, you have the right to request that we delete the personal information we hold about you. However, there are exceptions to this right and in certain circumstances we can refuse to delete the information in question. In particular, for example, we do not have to comply with your request if it is necessary to keep your information in order to perform tasks which are in the public interest, including public health, or for the purposes of establishing, exercising or defending legal claims. 65. In some circumstances, we must "pause" our use of your personal data if you ask me to do so, although we do not have to comply with all requests to restrict our use of your personal information. In particular, for example, we do not have to comply with your request if it is necessary to keep your information in order to perform tasks which are in the public interest, including public health, or for the purposes of establishing, exercise or defending legal claims. 66. In some circumstances, we must transfer personal information that you have provided to you or (if this is technically feasible) another individual/ organisation of your choice. The information must be transferred in an electronic format. 67. In some cases we may need your consent in order for our use of your personal information to comply with data protection legislation. Where we do this, you have the right to withdraw your consent to further use of your personal information. You can do this by contacting us using the details provided at section 3 above. 68. You can complain to the Information Commissioner's Office if you are unhappy with the way that we have dealt with a request from you to exercise any of these rights, or if you think we have not complied with our legal obligations. 70. Making a complaint will not affect any other legal rights or remedies that you have. 71. NHS Digital is currently developing a national programme which will go live on 25 May 2018, pursuant to which all patients will be able to log their preferences as to sharing of their personal information. All health and care organisations will be required to uphold patient choices, but only from March 2020. In the meantime you should make us aware directly of any uses of your data to which you object. 72. We may update this Privacy Notice from time to time to ensure that it remains accurate. In the event that these changes result in any material difference to the manner in which we process your personal data then we will provide you with an updated copy of the Policy.